Thank You to those of you that have supported our work in the past and those who would like to do so in the closing few days of 2016! 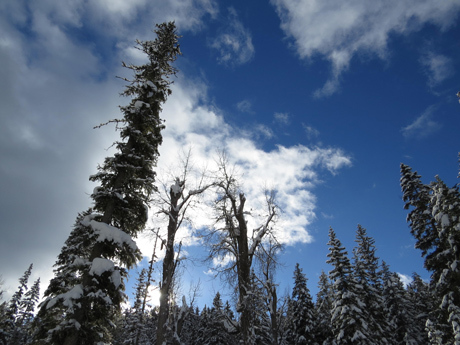 -Helped coordinate overwhelming public support for more wilderness and more watershed restoration in the Flathead Forest Plan! -Worked with a Swan Valley collaborative to decommission 26 miles of damaging logging roads in Jim and Cold Creeks! -Filed a lawsuit to decommission more roads to meet Forest Plan standards and get Jim Creek off the list of "impaired watersheds!" 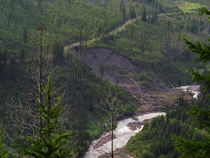 -Filed notice for a similar lawsuit in Coal Creek, another "impaired" critical bull trout watershed, where the Flathead left culverts to blow out in a long-abandoned logging road! Our work is funded primarily by people like you, not big foundations! Won't you please join others in supporting our work and help us prepare for the challenges of 2017?